Bias: Fixed with bias adjustment pot. Comments: Beginning in early 1966 Fender offered JBL D-120F Speakers as an ”premium upgrade” to the Twin Reverb. Some early Twin Reverbs have tube charts specifying 7355 power tubes. It is unclear if any shipped in this configuration. I have a 67 TR with original Altec speakers- 417Bs. With humbuckers, the highs chime like bells, and the lows rumble in a deep, authoritative way. I love it. I stumbled across a pair of ’64 Altec 417-8H by mere chance, thinking they were some sort high-priced JBL D120s or E120s. But nothing of it! They have remarkably sweet highs and compress nicely at manageable volumes, mids are present. Nowhere as ‘sterile’ or ‘ice-picky’ as usually attributed to JBL. I really think of them as high-powered P12Ns, making a perfect fit for my blackfaced bassman and surf tones. Quote “Beginning in early 1966 Fender offered JBL D-120F Speakers as an ”premium upgrade” to the Twin Reverb” In early 1966 Fender Shipped the new JBL D131F (12 inch) JBL Speakers in S.O. (Special Order) Amps. The D131F JBL Speaker is so rare in the Fender Amps only a few have survived. The D120F JBL was first made in the Fall of 1966, any amp with a JBL D120F Speaker in the amp before the Fall of 1966 is not the original speaker to the amp. Many people claim amps to have the original D120F JBL Speakers in them before the Fall of 1966, but they are not well informed. The Beatles, Jimmy Hendrix and The Allman Bros all got the first Twins with the D131F Speakers in Feb of 1966 (PB). My Twin with the factory JBL D131F Speakers is also a PB build. Most of the Sp3ecial Order amps have hand written Tube Charts and the Production line has ( S.O.) for the Special Order. What is a PB Build? 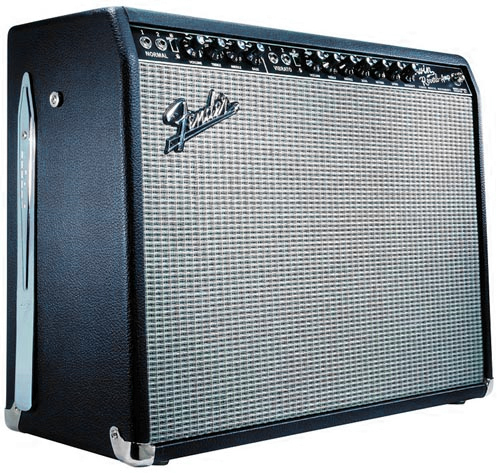 I’d have to say that the Fender Twin is THE ultimate guitar amp of choice for any serious lead guitar player on the planet. At its introduction, and since, it is a hoss of an amplifier that will do anything asked of it. RIP Leo Fender. You were a genius. Blackface Fender Twin Reverb AB763, Corona, California.